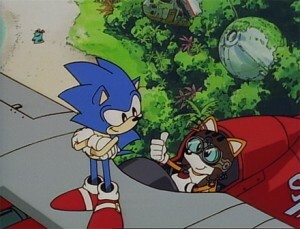 If you haven’t had a chance to watch the 1996 two-part OVA Sonic the Hedgehog, stop reading this and immediately track down a copy to watch–it’s quite possibly the best Sonic-related animation out there and definitely is a nice contrast to the Western Sonic series from the early 90s. However, if you happen to live in Japan and haven’t seen it yet (or would just like another shot at seeing it), Bandai Channel is offering the Sonic OVA ahead of its 15-year anniversary this upcoming May both for PC and mobile phones. Each episode is priced at the pretty reasonable cost of ¥210. You can check out a preview or watch on PC at the Bandai Channel website for the OVA (do note that you need to have a Japanese IP in order to access the movie) or you can see the mobile mini-site and download the episodes directly to your phone or mobile device by following this link.